So if you follow me on Instagram, you might know that a few months ago, I was posting all my Teacher Appreciation Week ideas and everyone was all like, “Hey, Kate, it’s not Teacher Appreciation week, you loon.” It’s true, at my kids’ school, we celebrate early because between late standardized testing and the fact that we get out of school Mid-May, it would be nuts to try and do Teacher Appreciation this week. So I’m posting what I’m giving my kids’ teachers as end of the year gifts (if one of my kids’ teachers is reading this, just kidding, I’m totally not giving these to you), but hopefully it will spark some ideas for Teacher’s Appreciation for y’all. I know there are a lot of thoughts about what teachers really want and I think a lot of the points they make are valid–teachers probably get more mugs, crafts, and knick knacks than they know what to do with (although I’m sure there are teachers out there who love those things.) 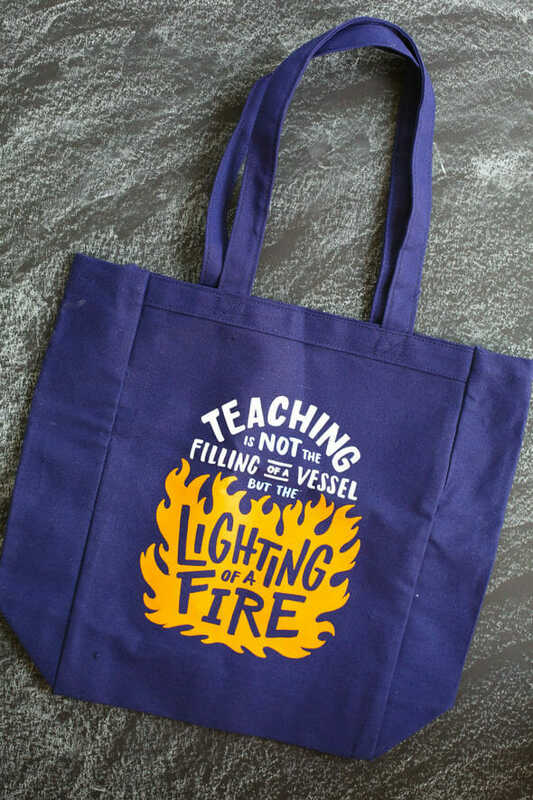 I’ve never been a teacher, but I have a sister who is a teacher, many, many friends who are teachers, and I’m a general lover of giving and receiving gifts, so I hope I have some idea of what teachers might like. 1. I try to make everything useful–from the container that it’s in to the stuff inside, I want everything to be usable in some way. I’ve given gifts in storage containers, organizational bins, colanders, reusable shopping bags, etc. 2. I give them food…but not necessarily stuff they have to eat right away. If I do send perishable food, it’s one awesome cookie or cupcake, but usually it’s something they can use later. This is because every Christmas, I throw away 95% of the treats we get from other people, but if I have a brownie mix or an awesome marinade, I can use it down the road when I’m not so overloaded. So I imagine teachers kind of do the same thing. 3. Gift cards (iTunes, Target, Starbucks, restaurants, favorite nail salons, etc. ), classroom items, and things that help create memories and experiences are always welcome (at least in my experience). Do they have the summer off with their families? Give them something their family can experience together. the gears in my brain started turning. 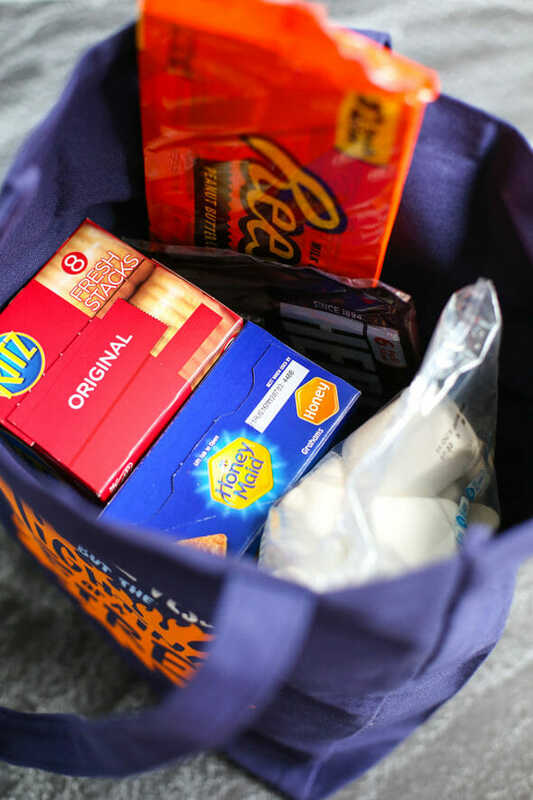 After our outdoor movie night (with a s’mores bar) last summer, I decided that just a) just about everyone loves s’mores and b) not everyone knows the magic of using Reese’s or Ritz Crackers whilst s’mores-ing. So. 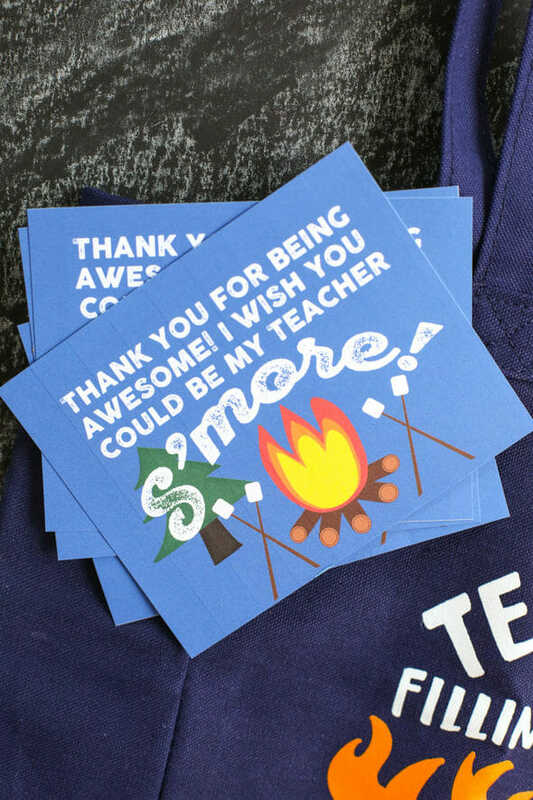 If my kids’ teachers have lit a fire of learning within them, I figured I could light a fire of outside-the-box s’mores-eating within them. 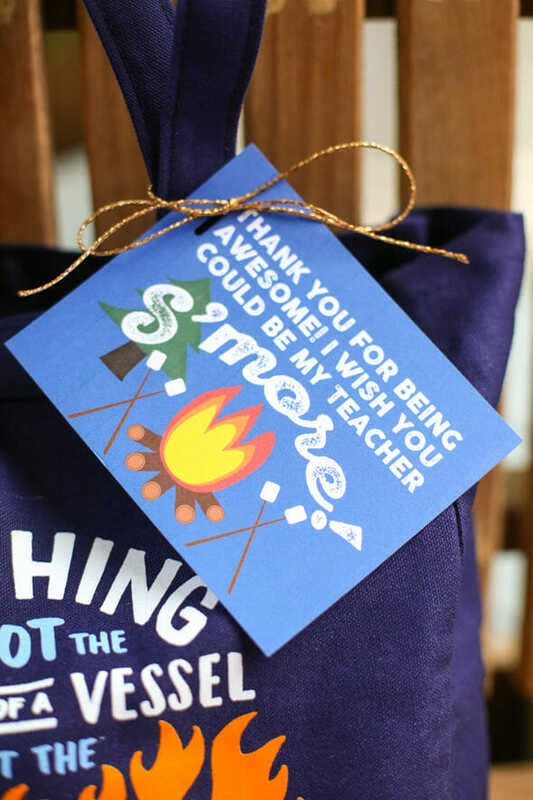 Enter the Teacher Appreciation S’mores Kit. 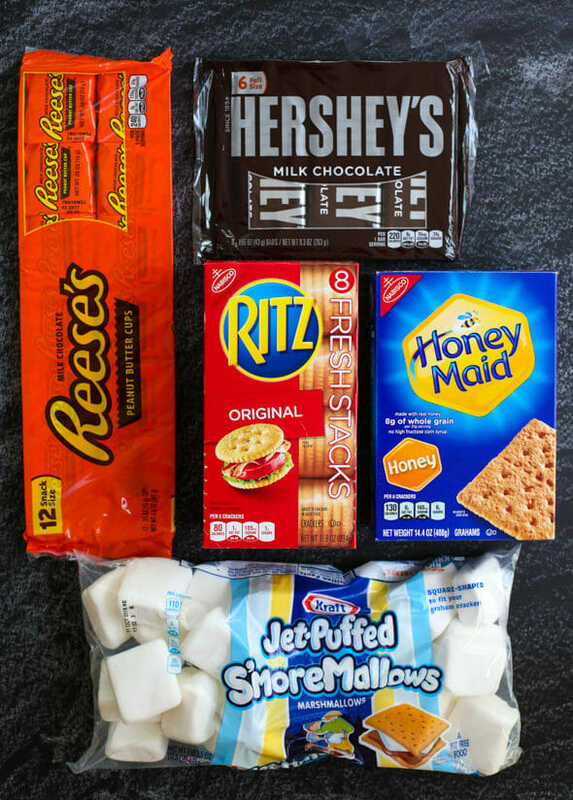 I figure they have all summer long to do all the s’mores-ing they want, either going completely traditional with graham crackers and Hershey’s bars or living on the very delicious edge with Ritze Crackers and Reese’s Peanut Butter Cups. Or any combination of any of it. and I tied one to the bag. Then voilà! 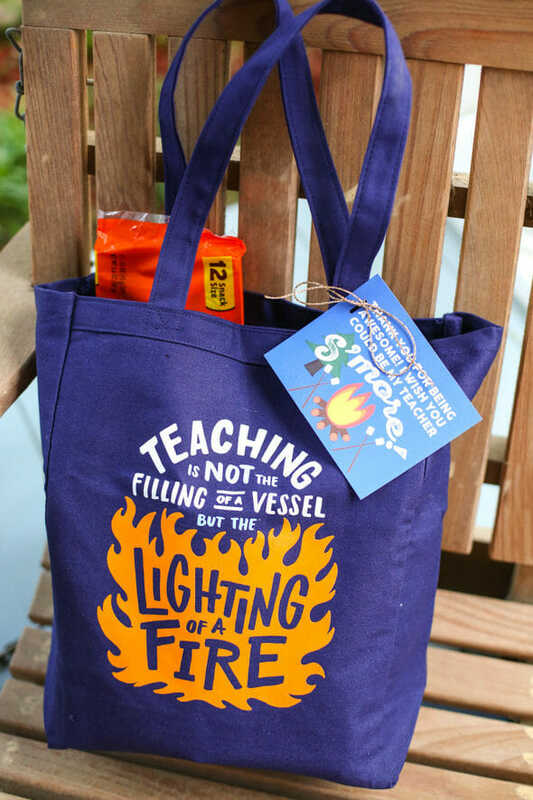 Easy peasy Teacher Appreciation gift! If this one isn’t lighting your fire (har har har), we’ve got plenty of other ideas! This chocolate bar is one of my all-time favorites and here are a few more really adorable gifts! FYI Stately Type is having a Mothers Day sale through Noon today. Everything (including teacher stuff) is 20% off with the code MOM20. Whooaaa–so good to know! Thanks for the heads up!! Ok, I know you’ve mentioned the PB cups for S’mores before, but I had no idea about the Ritz. Must find a campfire…. You. Will. Die. Life will never be the same. Ritz and Reese’s?! So fun we’ve never tried that before! So do the ritz just go with the Reese’s or do you do all sorts of combinations?! Thanks for the cute printable! You can do it however, but my favorite is ritz, Reese’s, and marshmallow. It will blow your mind, I guarantee it!